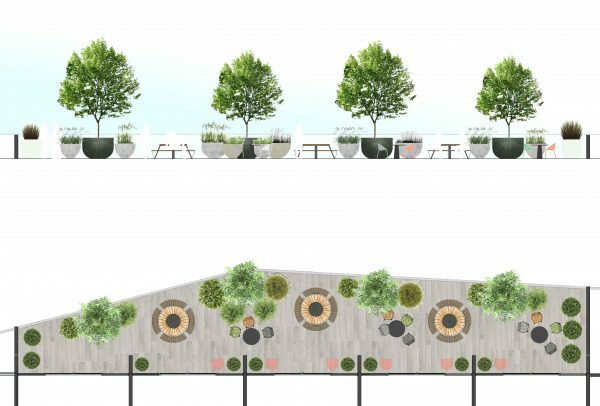 CW Studio have designed this contemporary terrace, overlooking the Bridgewater Canal, for a solicitors’ office in Castlefield, Manchester. 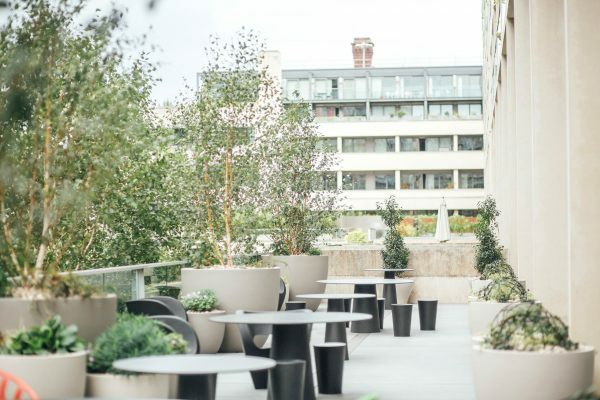 The brief was to create a contemporary space where employees and clients can relax outside and enjoy the views over the canal. 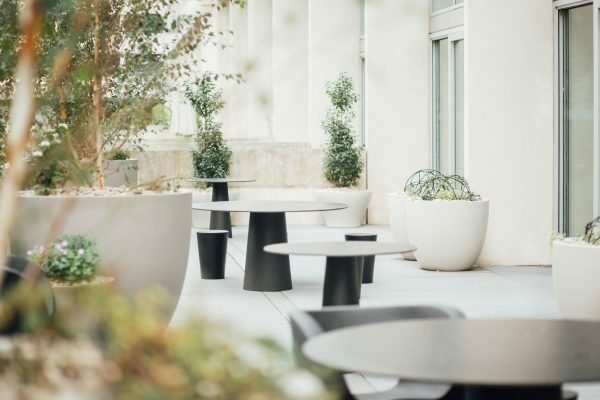 Large planters and contemporary picnic tables bring structure to the layout of the terrace, while colourful modern furniture brings fun and flexibility to the space. 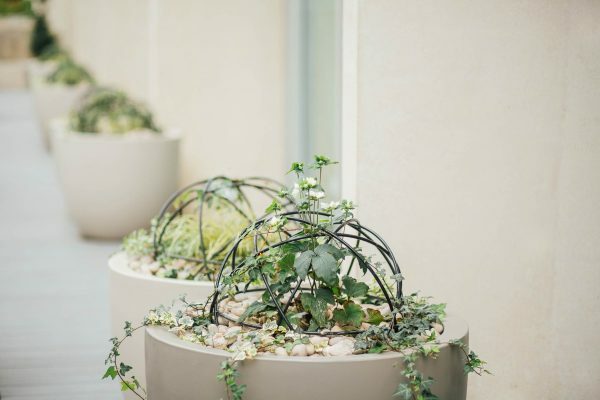 Planting includes multi-stem ornamental birch trees, evergreen shrubs, ornamental grasses, perennials, ferns and spring bulbs.